Be the first to share your favorite memory, photo or story of Mary Lee. This memorial page is dedicated for family, friends and future generations to celebrate the life of their loved one. On Friday, November 30, 2018, Mary Lee McDuffie Pringle, widow of the late Lester Pringle, exchanged time for eternity at McLeod Health Clarendon. Born on March 16, 1937 in Pinewood, she was a daughter of the late Epperson & Everlena Conyers McDuffie. The service celebrating her life will take place on Saturday, December 8, 2018, @ 12:00noon from the Calvary Missionary Baptist Church, 10075 Calvary Church Rd., Pinewood, where the Pastor, the Rev. E. L. Sanders, will bring words of hope. The service of committal will follow in the family plot located in the Calvary Missionary Baptist Church Cemetery. Public viewing will take place on Friday, December 7, 2018, from 4:00pm-7:00pm at the Fleming & DeLaine Chapel, 222 West Boyce St. The family is receiving relatives and friends at the residence,1065 Boyd Rd., Pinewood. To send flowers or a remembrance gift to the family of Mary Lee McDuffie Pringle, please visit our Tribute Store. 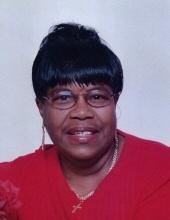 "Email Address" would like to share the life celebration of Mary Lee McDuffie Pringle. Click on the "link" to go to share a favorite memory or leave a condolence message for the family.